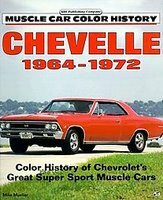 Chevrolet Chevelle car books covers the history of the Chevelle development, restoration and manuals. The Chevrolet Chevelle was a mid-sized Chevrolet automobile produced from 1964 through to 1973. 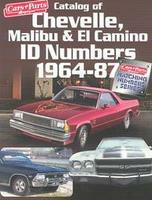 Catalog Of Chevelle, Malibu & El Camino ID Numbers 1964-1987 by Cars & Parts Magazine (1993) has all the essential information you will need to properly decode the driveline, trim, colour and options for your Chevelle purchase. 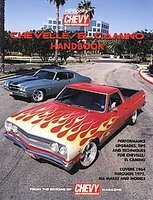 Chevelle/El Camino Handbook by Chevy High Performance Magazine (2004) is a compilation of technical articles from 'Chevy High Performance', the most popular magazine among Chevy enthusiasts. 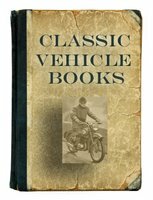 Includes articles on engine performance, tires, wheels, suspension, bodywork, exhaust and interior modifications. Chevelle & SS Gold Portfolio 1964-1972 by R M Clarke (1989). 43 articles, sourced from Autocar, Car and Driver, Car Craft, Car Life, Car South Africa, Cars, Classic American, Hot Rod, Motor Trend, Motorcade, Road & Track and Road Test. 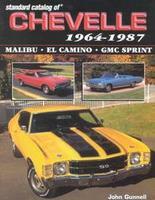 Standard Catalog Of Chevelle 1964-1987 by John Gunnell (2003). From the 300 four-door sedan to the Concours Estate wagon to the Malibu, Super Sport, SS-396, LS-5, LS-6, Heavy Chevy and El Camino, the whole Chevelle family is listed with standard equipment, original prices, weights, VIN breakouts, production data, engine specs, technical details, historical facts and collector prices. 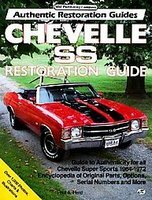 Chevelle SS Restoration Guide 1964-1972 by Paul Herd (1992). Get all the details exactly right on engines, frames, suspension, exterior, interior and more. Includes all the vital numbers to assure authenticity, including original parts numbers. Chevelle by Bill Holder & Phillip Kunz (1998). This full-colour gallery features Chevelles ranging in vintage from 1964 through 1976. 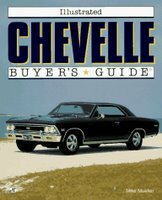 The story behind Chevelle development, production and evolution helps explain helps explain the rampant popularity that today translates into a thriving interest among collectors. Chevrolet Chevelle And Monte Carlo 1964-72 by James Moloney (1986) is a model-by-model photographic history of the classic Chevelle, Super Sports and Monte Carlo. Chevelle 1964-1972 by Mike Mueller (1993). An outstanding colour history of one of America's muscle car legends. Chevelle SS models to Yenko specials, big and small-block and rare high-performance models are all beautifully profiled in crisp interior, exterior and engine shots, original advertising, details of important options, and year-to-year changes in styling and performance features. Special Chevelles, important specs and production facts, testing, early designs and racing. 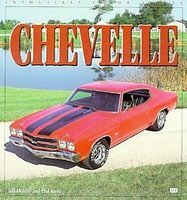 Illustrated Chevelle Buyer's Guide by Mike Mueller (1995). It begins with the first Chevrolet SS models in 1964 and goes all the way through the SS Chevelle's last year, 1973. Chevy's SS 396 was America's most popular muscle car in 1968. The SS454 and the small-block varieties are also featured. Chevelle by Mike Mueller (2002) was previously published as the 'Illustrated Chevelle Buyer's Guide'. 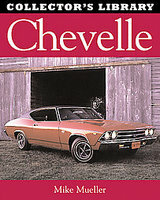 Original Chevelle: 1964-1972 by Jim Schild (2005). The abundance of information, serial and engine numbers, paint codes, trim, options and technical tips, featured here are essential to enthusiasts interested in achieving an authentic restoration. The author's expert advice is sure to help readers avoid the pitfalls that can often ruin an otherwise successful restoration.